I’m going to make a bold, sacrilegious assertion in a sea of humanistic theorists: I believe Niccolò Machiavelli had it right when he defined leadership 499 years ago—in a bare-bones sort of way. At the very least, he set a foundation for the plethora of leadership theories that exist today. In this post, I intend to deconstruct Niccolò’s basic theory before bringing him into the 21st century. 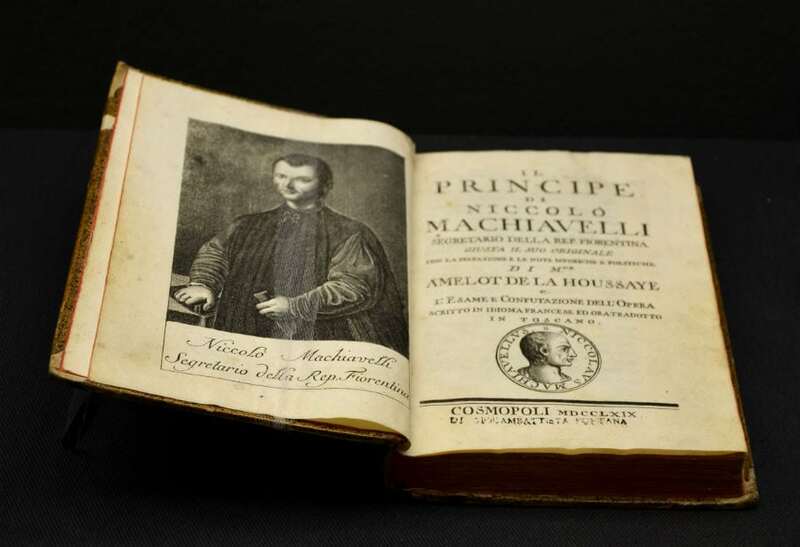 When Machiavelli retreated to his Florentine study in 1513 and feverishly jotted down his abstract reflections on how the world ought to be in his book “Il Principe: The Prince,” he noted five aspects of a good leader that are still discussed (and even relished) in business and management literature today. These publications typically refrain from referencing him directly for the sake of not proposing workplace theories that may come off as deceitful, cunning, immoral, self-serving, dishonest or Machiavellian, but Machiavelli’s basic premise of a good leader is still there. Should be feared rather than loved “if you cannot be both” in order to avoid a revolt. Should have the support of the people because it’s difficult to take action without their support. Should never turn to outside auxiliary or mercenary units, but always rely on his (or her) own arms. If we translate Machiavelli’s five-point laundry list into modern parlance, a good leader is essentially someone who is respected and supported by the people he or she guides because this person is smart enough to authentically know, trust, value, and encourage the flourishing of the skills that each individual brings to the group. Consequently, the leader is able to rely on the group because he or she works to help each member continue to polish and refine their unique skills and abilities, which can only work to make the team stronger as time brings a constant stream of change. As an MBA recipient, I believe any manager who takes time to understand, nurture, cultivate and accentuate the skills and traits of colleagues and support staff is virtuous. And, yes, I used the word “authentically” in my translation of Machiavelli’s principles. Why? Because, believe it or not, the man didn’t appreciate dishonesty. To Machiavelli, authenticity—or at least openness—is essential to good leadership. After all, any leader “who seeks to deceive will always find someone who will allow himself to be deceived.” And, in the long run, that never turns out well. Machiavelli’s got a bad rap for being a ruthless, cutthroat kind of guy. But, in this context, his vision of leadership softens and his description of a good leader actually sounds transformational, which is the style of leadership coveted by management circles today. In other words, a person who embodies the qualities of a transformational leader but holds no authority is the equivalent of a king or queen without a throne. He or she may influence the people around them positively as they all work to fulfill daily obligations, but his or her reach is very limited. By contrast, a person in a position of authority who fails to recognize, trust, value, and encourage the flourishing of skills among his or her colleagues and staff will quickly lose respect and support from these people. And when they go, the manager’s stuck in the transactional limbo he or she created. In this limbo bent on preserving the status quo, morale is low, turnover rates are high and workers are grumpy among other things. In 1513, Machiavelli wrote, “I’m not interested in preserving the status quo. I want to overthrow it.” So in addition to having a low tolerance for dishonesty, he apparently didn’t buy into transactional management theory either. The key ingredient that distinguishes a leader from an authority figure is power, according to Beerel. To the traditional Machiavellian, power makes the ends justify the means, to paraphrase one of Machiavelli’s famous quotations. But in a frail world where leadership consists of power grabs for the sake of power-grabbing, leadership will ultimately fall apart for, as Machiavelli wrote, “It is not titles that honor men, but men that honor titles.” Any leader who focuses solely on the accrual of power is acting disingenuously and, when the people revolt against this behavior, this leader’s employment status may meet a tragic end. To Machiavelli, true leaders strive to shatter false pretenses. So if you really want to be a transformational leader in Machiavelli’s book, what everyone sees should be your authentic self-guiding and working alongside your colleagues and staff. Machiavelli may not have been such a bad guy after all. He may have just been a little too fervent. I think that medieval word befits this Italian philosopher.